CHP officers are investigating a fiery fatal two-car crash reported in Saugus at 6:51 a.m. Tuesday morning, officials said. The circumstances surrounding the crash are unclear at this time, as officers are still on scene. 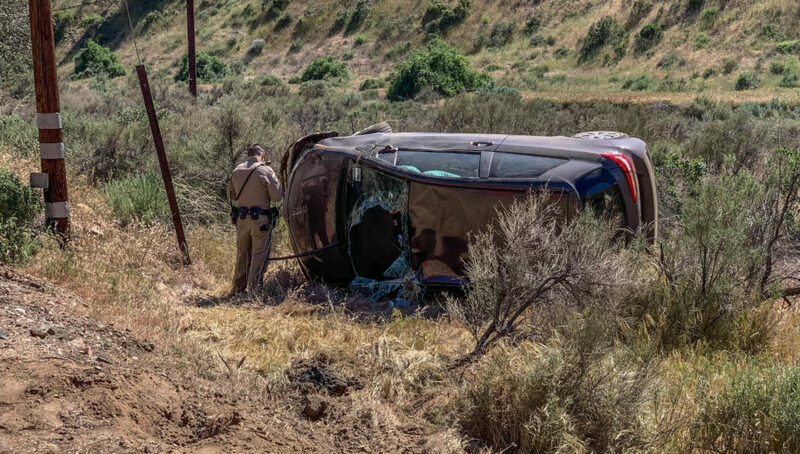 Sheriff and California Highway Patrol officials received reports this morning of an overturned vehicle on fire not far from the power plant on San Francisquito Canyon Road, about three-quarters of a mile north of Stator Lane, in the northbound lanes. One car was on fire and another car was overturned when fire officials arrived on scene at 7:04 a.m, according to Inspector David Michel of the Los Angeles County Fire Department. One person was transported via ambulance from the 35100 block of San Francisquito Canyon Road and the driver of the other vehicle was declared dead at the scene. This is a breaking news story, and more will be added as it becomes available.